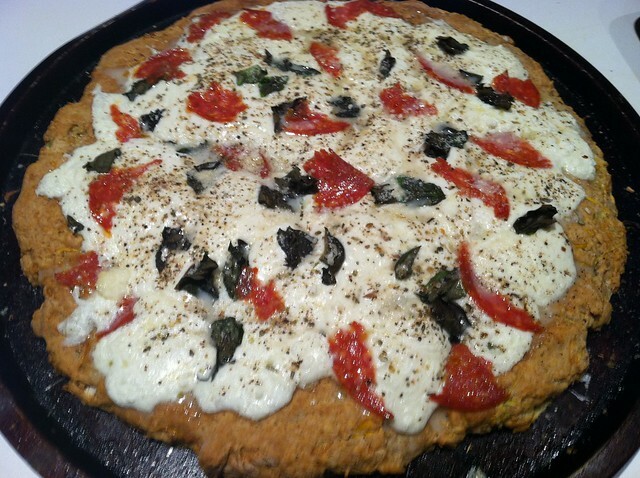 zucchini bread pizza! – ugly food tastes better. 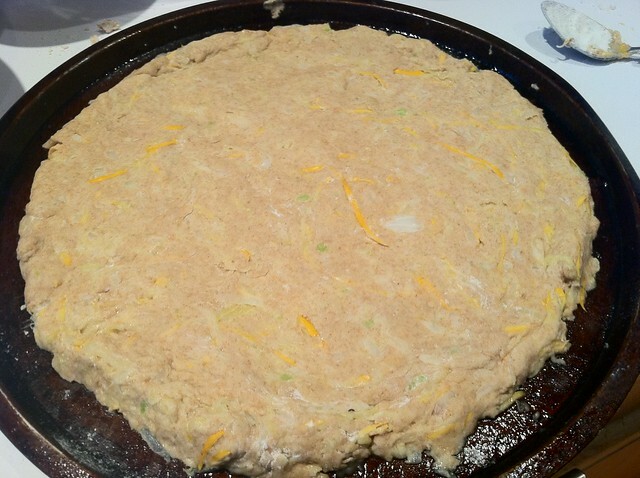 So in becoming the Bubba Gump of zucchini, I decided that I would figure out how to make a zucchini based pizza dough, as I am running out of ways i like zucchini that don’t involve frying. It was a terrible idea. It failed miserably, i had to throw away an entire pizza. I wasted a lot of time, blah blah blah. 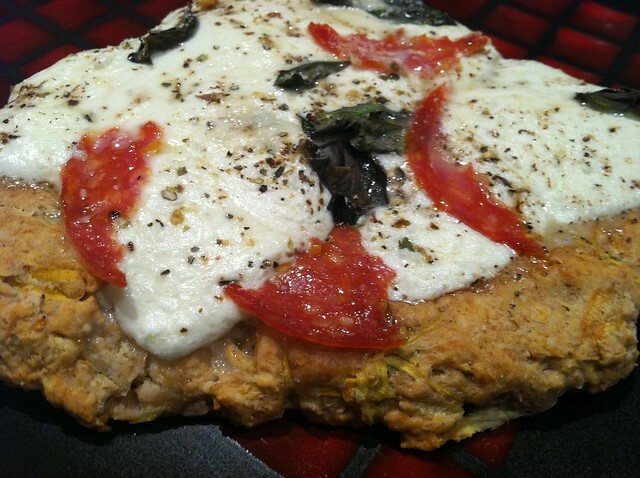 To avoid starving another evening, but still wanting to succeed, I decided to tweak a savory zucchini bread recipe i found via Tastespotting on Tung in Cheek and make it in the shape of a pizza crust and go from there. 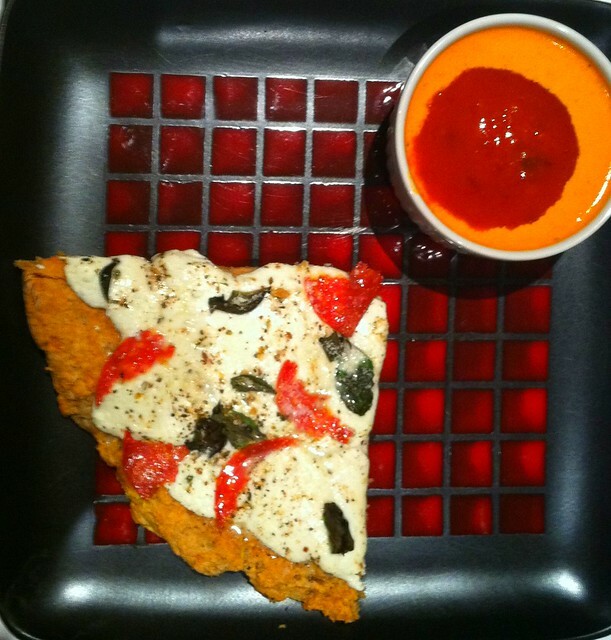 Step 1 – Preheat oven to 350º F. Spray Pam your pizza pans! 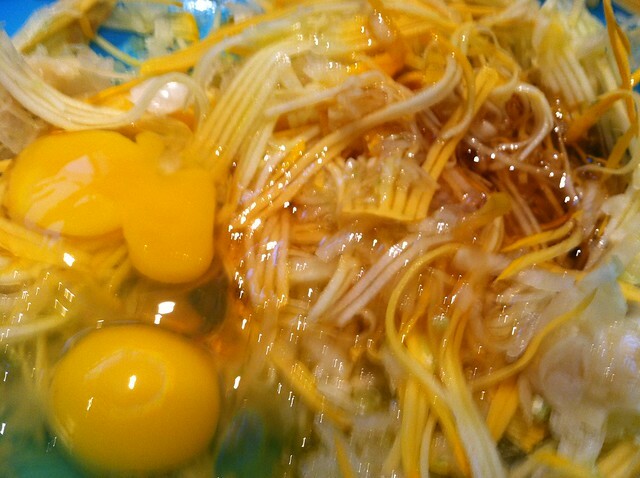 Step 2 – In a bowl, mix together grated zucchini, onion, eggs, olive oil, honey, and cheeses. Step 3 – In a separate bowl, mix together flour, salt, baking soda, baking powder, and nutmeg. Fold the wet ingredients into the dry. Step 4 – Shape into pizza crusts on your pans and bake for about 15 minutes, or until the tops of the breads are nice and brown and a toothpick stuck into the center comes out clean. Step 5 – Take the crusts out and top with fresh mozzerella, ripped up salami, parmesan and romano cheeses, fresh basil* and fresh ground pepper. Place back in the oven for another 10 minutes and serve with sauce of your choice, or it is delicious on its own. I chose leftover vodka sauce with fresh tomato sauce. Voila! Zucchini pizza success!